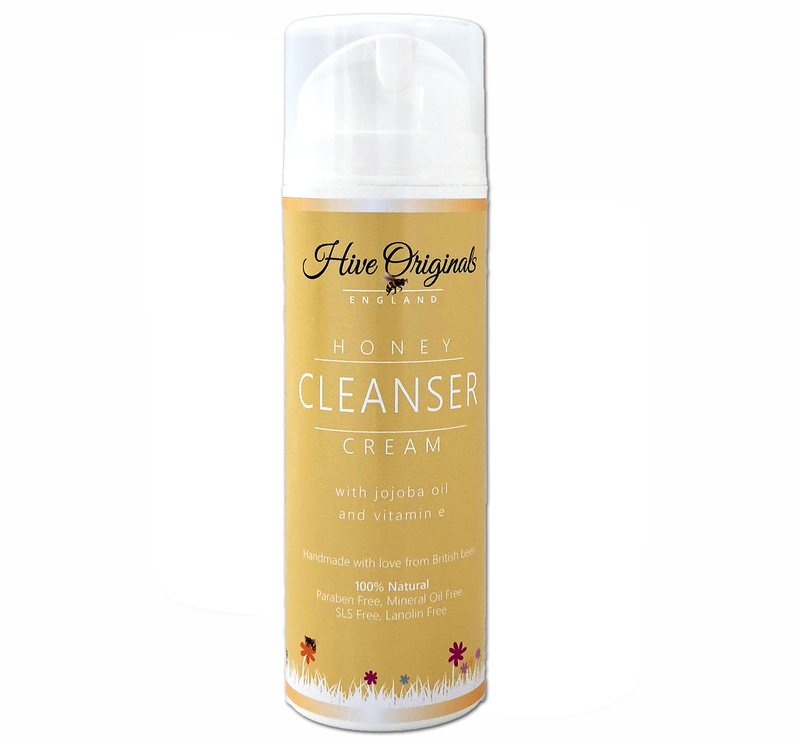 Packed with active botanical ingredients and our very own honey, our cleanser gently removes daily grime and stubborn make-up leaving skin beautifully supple, softened and deeply nourished. With an elegant blend of lime, neroli and jasmine essential oils to help restore and rejuvenate skin. Gentle enough for use daily, morning and night. 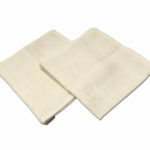 Massage into skin and remove using a soft muslin cloth or flannel rinsed in hand-hot water. Healthy radiant skin starts with a good cleanser that removes make-up, impurities, dead skin cells, and excess oil. 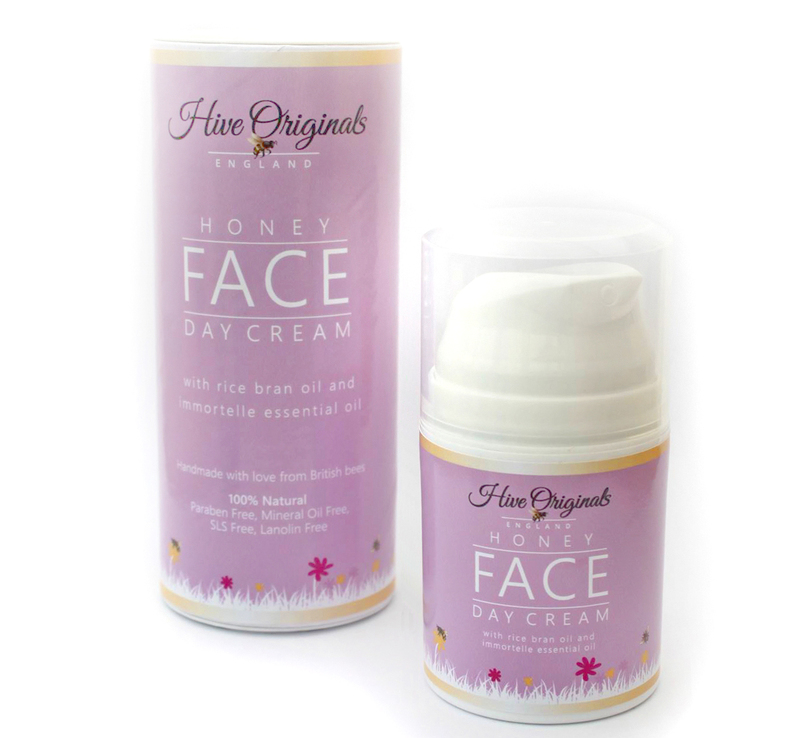 Our Honey Cleanser helps to dissolve oils and aids in unclogging pores and prevent skin conditions such as acne. 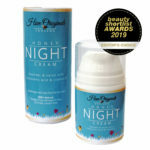 Use in the evening to give your skin the best chance to repair and recover itself whilst you sleep. 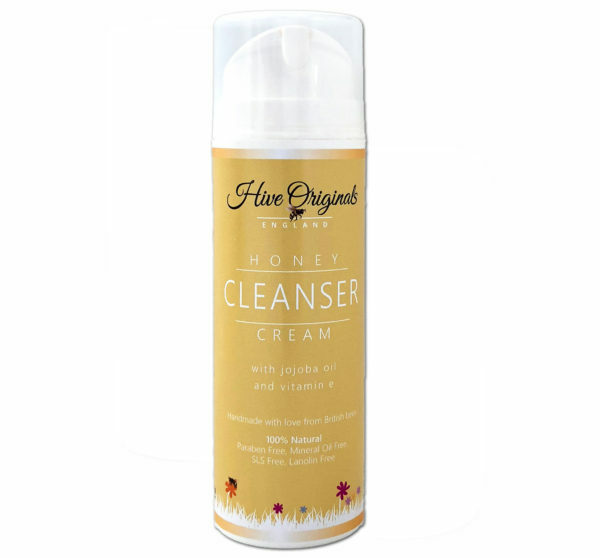 Using our honey cleanser in the morning is also beneficial as it removes any toxins that the skin eliminates during the night and refreshes the skin, preparing it for make-up application. For best results we recommend removing your cleanser using a soft cloth like our organic cotton and bamboo muslin cloths. Our perfect cleansing ritual is that we recommend massaging your face and neck with our Honey Cleanser for a minute or two as you breathe in the gorgeous gentle aroma. Then rinse your muslin cloth in hand-hot water and lay the hot cloth over the face, enjoy the sensation for a few seconds and then use the cloth to remove the cleanser in gentle circular movements. Never scrub your skin but use the muslin cloth to lift off dirt, dead skin cells and revitalise the skin. 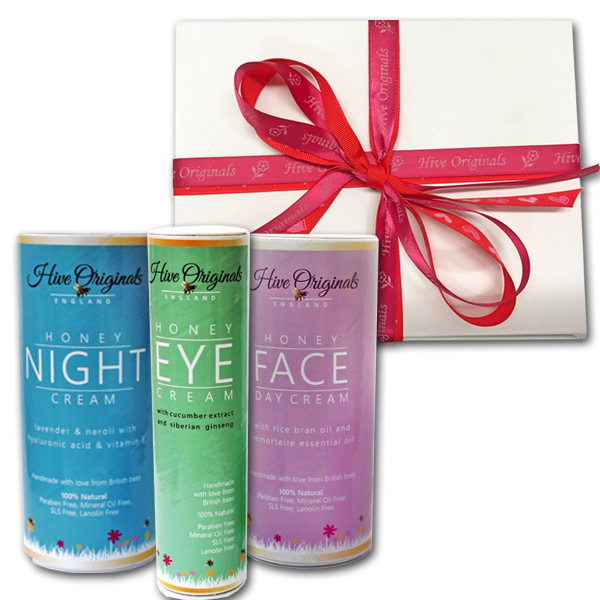 Complete your skincare ritual with either our Day or Night cream. It’s a home spa experience! They are really effective when cleansing the skin. They have a gentle exfoliating action that helps remove impurities and leaves your skin feeling clean, soft and smooth. They are soft and gentle on the skin – you don’t want to pull or scratch your face whilst cleansing. They are re-usable, so more environmentally friendly than cleansing wipes and contain no toxic chemicals just a mix of organic pure cotton and bamboo. They can be added to your washing machine and reused over and over and over again. They dry very quickly due to their open weave so this deters any bacteria growing. That’s the last thing you need especially if you suffer from acne, rosacea or eczema. Aqua, Ricinus communis seed oil (Castor oil), Cocomidopropyl Betaine, Simmondsia chinesis** (Jojoba oil), Sodium Stearoyl Lactylate, Glycerine, Isomyl Laurate Cocoate, Cera Alba (Beeswax), Glyceryl Stearate, Cetyl Alcohol, Mel (Honey), Parfum** (100% natural essential oil blend), Tocopherol (Vitamin E), Benzyl Alcohol, Salicylic acid, Sorbic acid. Contains: Geraniol*, Farnesol*, Limonene*, Linalool*. Another lovely product! The texture is smooth and creamy with a delicate fresh scent. My skin felt clean but without the dry tight feeling that l have experienced with some other cleansers . Together with the moisturisers l now have a gentle and effective skin care ‘ regime ‘ that l would be happy to recommend to anyone. Thanks Sue for such lovely feedback. As you know it’s taken us some time to get it right but glad the wait was worth it! I’m amazed that in two short sessions, my skin feels young again. I usually have fragrance-free but I really do like this, it’s a big hit for me. I’m delighted!